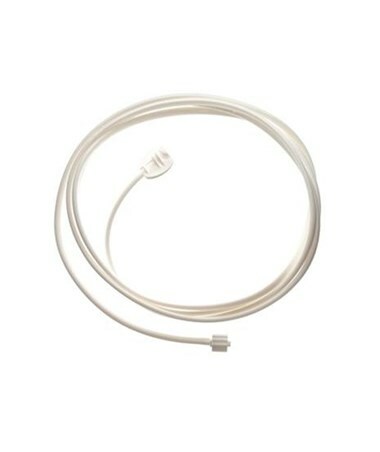 Spirometry provides a measure of lung function, specifically the amount and speed of air that can be inhaled and exhaled and generates pneumotachographs for diagnosis and assessment of conditions such as COPD, asthma, pulmonary fibrosis, cystic fibrosis, bronchitis, and shortness of breath. 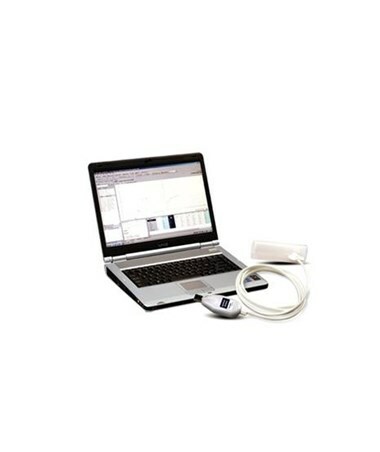 Welch Allyn's PC-Based SpiroPerfect™ Spirometry Module, part of the CardioPerfect™ Workstation line of diagnostic tools, allows for fast and easy viewing, comparison, storage, and printing of pulmonary function tests. It aids in evaluation of pulmonary restriction or obstruction, slows progress in patients with a range of lung conditions, entices pediatric patients to cooperate, and helps with smoking cessation programs. 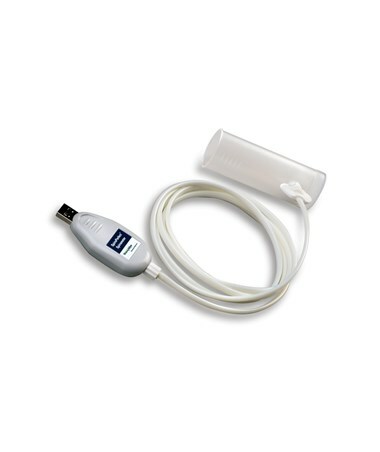 The spirometer operates in several modes, customizable to each physician's and patient's individual needs. Patient data is entered directly into the PC for adjustment of readings accordingly and includes settings for asthmatics and smokers. One may select from three testing modes: FVC: Forced Vital Capacity; MVV: Maximum Voluntary Ventilation; and SVC: Slow Vital Capacity. 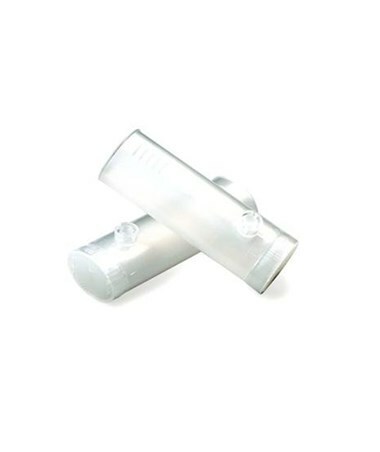 Each effort may be further specified with pre or post bronchodilator tags; when recording a post-bronchodilator effort, the details of the medication administered may be entered as well for highly accurate analysis. Once a patient has been entered into the database, it is simple to pull up his or her chart and previous tests for comparison, eliminating the need for paper charts, filing, and shredding. Test results and types are immediately viewable; the trending tool verifies and compares quality and variability of the current and previous tests. A snapshot of test results shows immediately, and customizable parameters (6 for real-time testing and summary, 19 for measurement table viewing, and single/multiple flow calibration protocols) make testing as accurate and easy to interpret as possible. The software allows the user to choose from multiple predicted norms and report formats. It displays real time curves as Flow/Volume, Volume/Time, Flow/Time, or Pre/Post, and may be customized to show all efforts and/or best efforts on the same graph for clear comparison. Automatic interpretation calculates lung age, follows ATS Interpretative Strategies and test reproducibility criteria. The clear, understandable test results are an excellent tool in smoking cessation programs, as they show the patient's lung capacity improvement over time. The PC-Based SpiroPerfect™ Module turns any PC (see system requirements below) into a full-featured ECG with the added benefits of analytical software. The CardioPerfect™ Workstation Software manages data from all of Welch Allyn's cardiopulmonary equipment, including ECGs and ABPMs, in the same way for storage of all patient information in the same record. This makes retrieval and analysis of the information quick and easy, allowing clinicians and their staff to interact more efficiently with patients. The software allows users to easily monitor trends and changes in patient history and retrieve previous records with the touch of a key; no more digging through paper files looking for the right information. Users may copy and paste spirographs directly into Microsoft® Word for additional saving, sharing, clarity, and viewing. Spirometry tests can be difficult for children. They often do not want to cooperate and/or are not motivated to perform properly. The SpiroPerfect™ module makes it easy and fun for children to take the test; an incentive graphic shows a child-friendly fireman attempting to extinguish a fire. Children are encouraged to "blow out the fire," which occurs when the patient's efforts reach 80% of predicted PEF and FVC values. The CardioPerfect™ Workstation software is EHR-friendly with a bi-directional interface; no printing, scanning, or complicated retrieval, as data is already in the chart. Fax urgent referrals in no time directly from the system; the database stores thousands of test records. This eliminates the need to sort through lengthy paper reports or interpret hard-to-read faxed copies of test results, and makes information accessible virtually anywhere with access to a secure network. 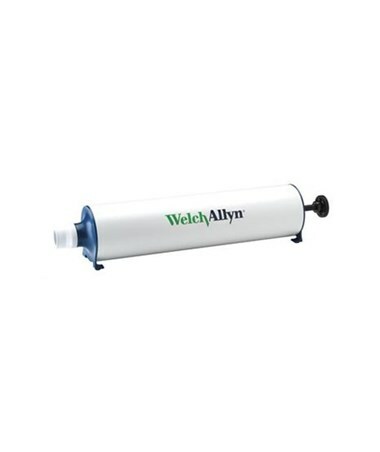 The module includes a sensor, pressure tubing, and eight hygienic disposable flow transducers. 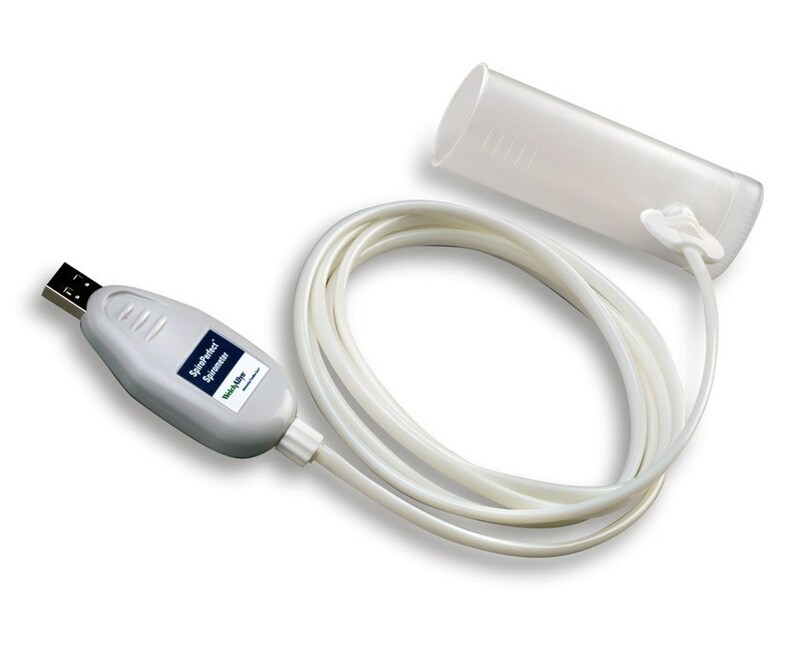 The spirometer may be ordered with or without a 3L calibration syringe. Select your preference from the drop-down menu in the upper right corner of this page, then click "add to cart" for hassle-free ordering at the lowest price!